He Is watching Over me, He Is my Strength for Every Day! I pray about All things, but I concentrate on a few things in order to see them through to being accomplished. With the Help of His Spirit, it shall be done! Oh Yes! The Gift of Another Beautiful Blessed Day Is upon us! The Lord has Opened the Doors of Breakthrough! Are you Going Through the Opened doors, Or Are You Standing, Hesitating At the Opened Doors of Breakthrough? Many will not go through because they cannot Let Go of self guided wandering, old thinking, wrong thinking, petty ways, lack, immaturity, smallness, lying, selfishness and rebellion against God's Will. Ahhhh, I Can Not Wait for them, I am Going to Allow the Saturation of God's Wealth to Carry me And Fill me! It Fills the Air! I Walk Through The Open Doors of His Break Through! His Mercy and Grace Call out, I Respond to His Richness Sent to Bring me OUT in order to Take Me INTO and Through! Nothing can be Completely Done if one Only discovers God's Mercy and Grace and all His Richness and then Stands Hesitating at the Opened door Of Breakthrough! 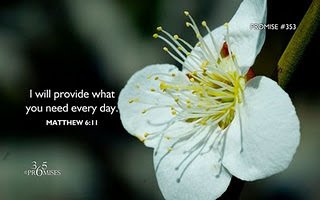 In the name of Jesus, I Receive The Call to be a Good Steward of All His Richness. There is Plenty to Go around! To be set apart with Him. I choose to Always Keep Him in Front of me! Calmly and balanced, bold and trusting do I trust in His Love for me. I Surrender All to Him each morning and if necessary, I remind myself that I have Surrendered Everything to Him to take care of and make Right for His Glory! His Richness overflows With the Wealth of His Mercy, Grace, Love, Favor, Joy, Peace, Correction, Healing, Connections, Opened Doors, Breakthroughs! Oh Yes, I am secure and sanctified by His Wealth, to Steward His Mercy and Grace And to receive More - To Allow His Mercy to Bring me OUT in Order to Bring me INTO and Through the Opened Doors of God's Breakthrough! The Lord God Is With me, He Will Never Leave me nor Forsake me. Jesus leads me and I will follow Him where ever He leads me...I Receive The Call to be a Good Steward of All His Richness. There is Plenty to Go around! To be set apart with Him. I choose to Always Keep Him in Front of me! The Lord God Is With me, He Will Never Leave me nor Forsake me! Jesus leads me and I will follow Him where ever He leads me! I know that His Spirit will provide Every thing that I need every place that He leads me. His Spirit will Help me to accomplish God's Will for my life for each day. Glory to God in the name of Jesus! I lack Nothing, because I Claim All that He Provides! Thia is really so nice post i am so inspired here could you more share here i will be back to you as soon as possible.